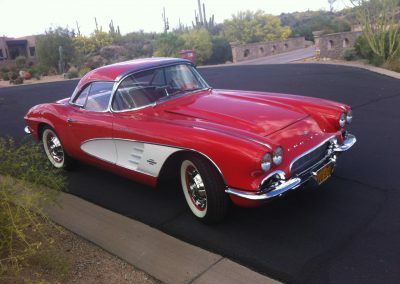 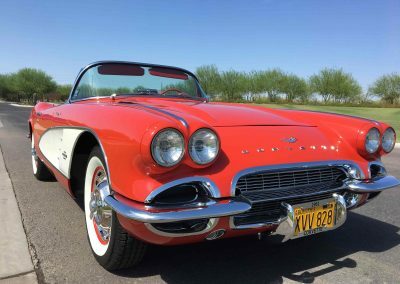 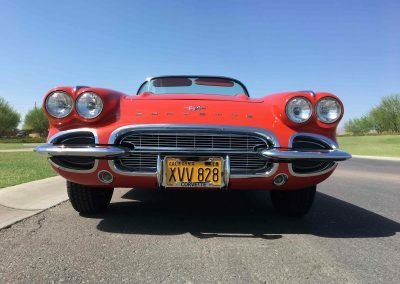 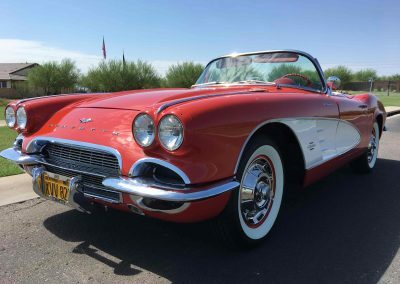 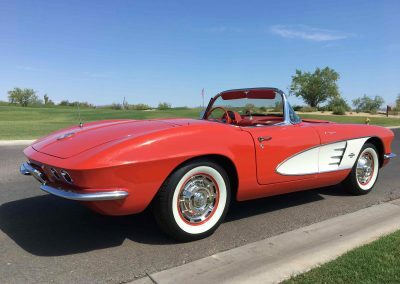 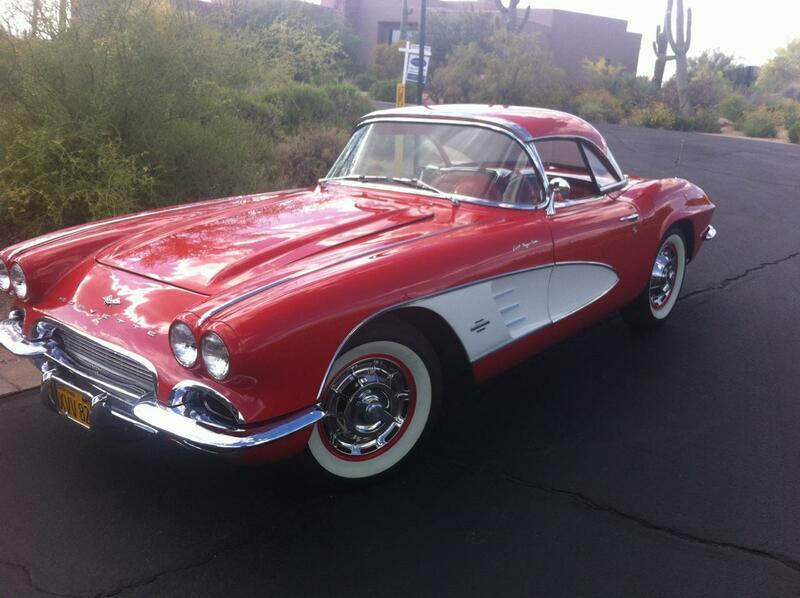 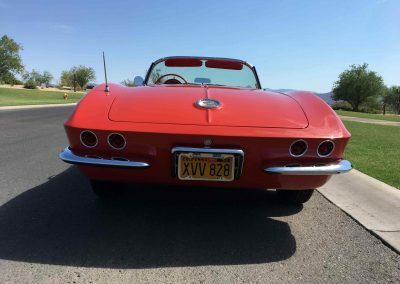 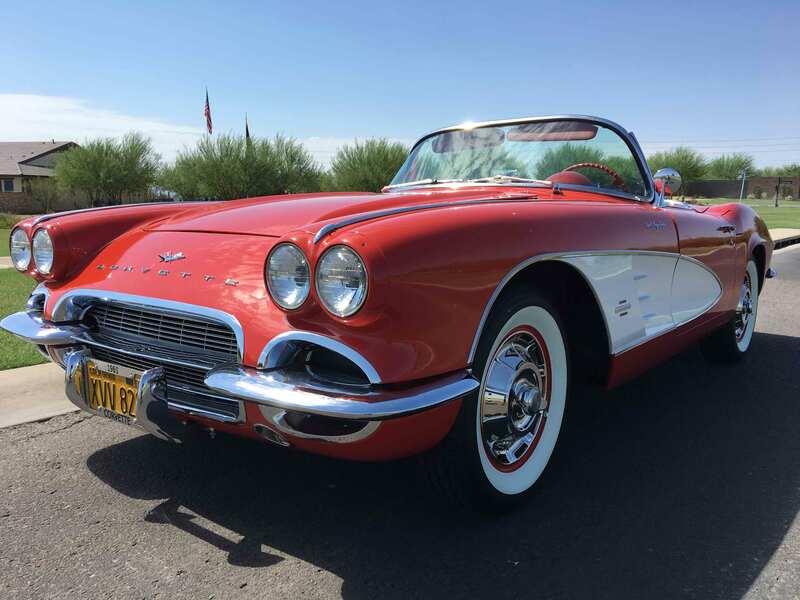 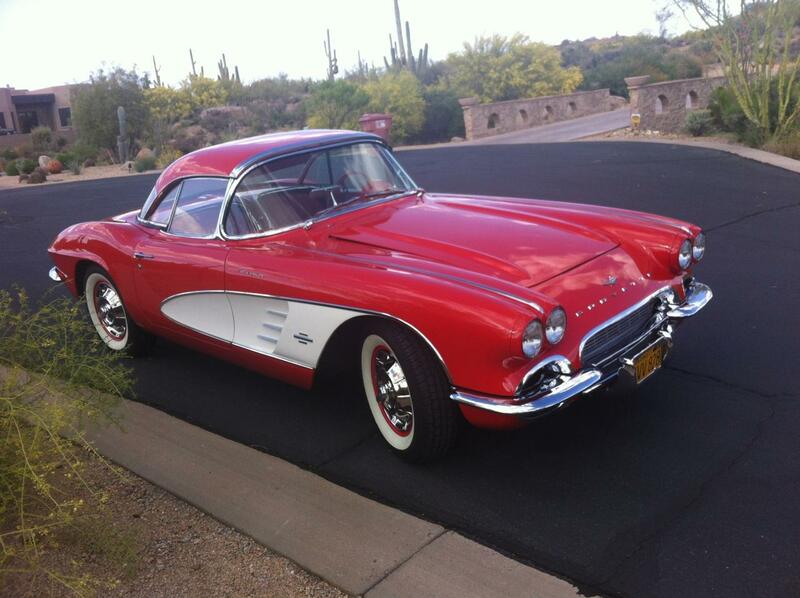 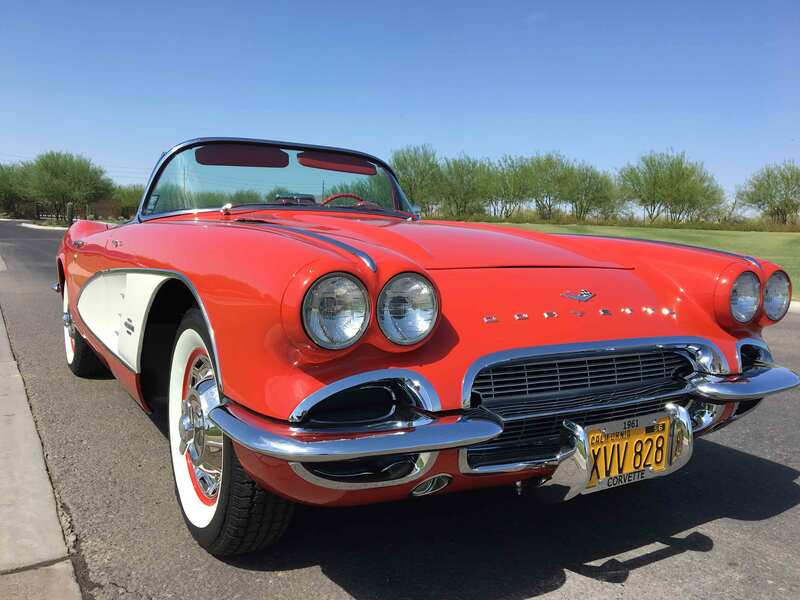 1961 Chevy Corvette — This and the following two cars, the 1966 Mustang convertible and the ’66 fastback, were bought from a family in Southern California. 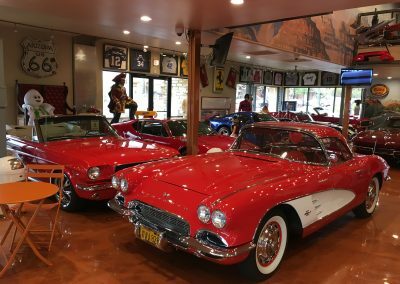 “A Chevelle specialist in Phoenix, Bill Olson, who does all my work, completed all of them,” he says. A fuel-injection car, the frame-off restoration has a four-speed transmission and a 50/50 paint scheme. 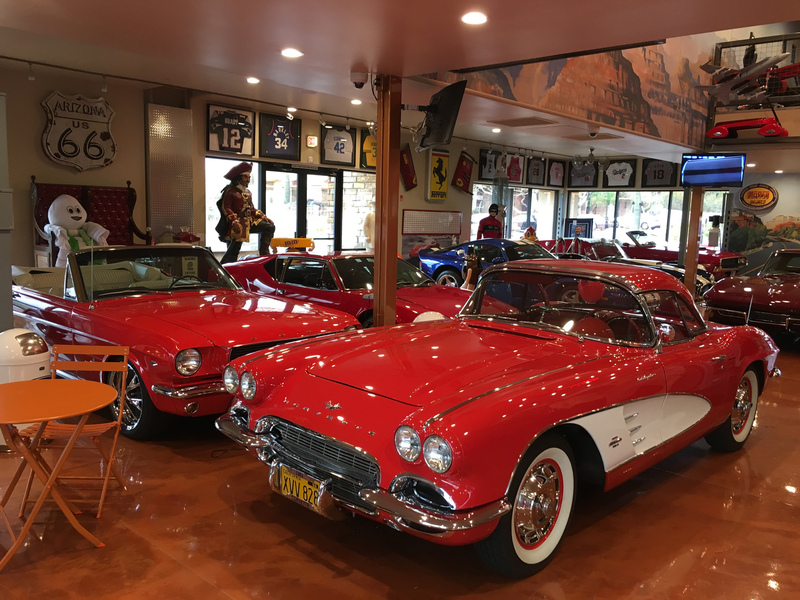 “It was about 80-percent complete when I bought it,” he says.